Every dietician and nutritionist in the world will tell you that fried foods are your enemy. At the same time, almost everyone else will tell you that fried food is the yummiest! Even many nutritionists will agree to this! So how can we make fried food less unhealthy and therefore, less of an enemy? 1. Use a good quality oil with a high smoking point. 2. Do not fry in the same oil more than once. 3. Maintain correct temperature while frying. If the oil is too cold, too much will be absorbed. Too hot will burn the food. 4. Always combine fried items with something healthy like a salad to balance out the meal. 5. Do not use too much of coating of flour in your batters coz that will absorb more oil. 6. 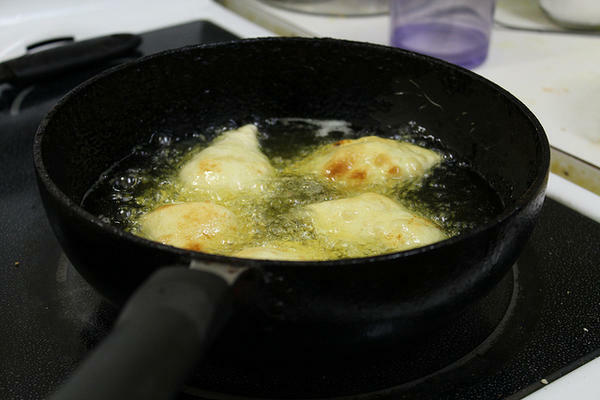 Use cornflour or rice flour in batter as they absorb less oil. 7. Drain all the excess oil on tissue papers or kitchen towels before you eat your fried goodies. You Will Love Rujuta's Diet Advice for the Monsoons!